In the year 1996, Dr. Peter D’Adamo published a book that revolutionized the way many people approach health and dietary choices. 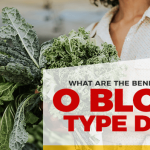 According to D’Adamo’s book, Eat Right 4 Your Type, each blood type in the ABO blood group system—O, A, B, and AB—have unique histories marked by different characteristics. He claimed that based on your blood type, your body reacts differently to certain foods because of the way the lectins in the food affect your blood. 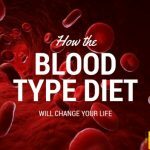 Based on this theory, people who are blood type AB can benefit greatly from following an AB blood type diet. This diet does not differentiate between negative and positive blood types, so the AB positive and AB negative blood type diets are exactly the same. 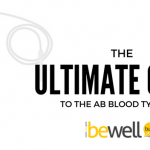 The AB blood type is the newest blood type in the ABO blood group system. The earliest blood type was O, which eventually led to the evolution of a new group, the A blood type. From the A blood type, the B blood type evolved due to a change in climate and lifestyle. The last blood type to come about, AB, evolved as a direct result from the commingling of A and B blood types. It is the rarest of blood types, found in less than 5% of the population. RELATED: Why Are There Different Blood Types? 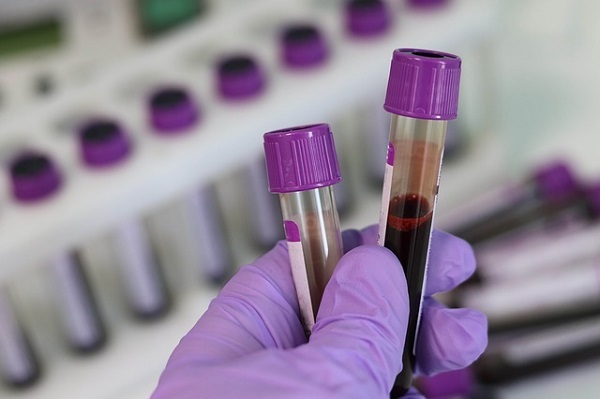 AB blood types are flexible in their characteristics since they come about as a direct result of mixing A and B blood types. In one study, AB blood types described themselves as emotional, passionate, friendly, trusting, and empathetic. Some famous type AB people include John F. Kennedy, Marilyn Monroe, Thomas Edison, and Barack Obama. 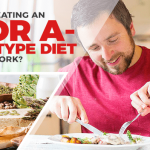 The AB blood type diet was built based on characteristics and restrictions of both A and B blood types. For example, AB people tend to have low stomach acid, just like the A blood type. 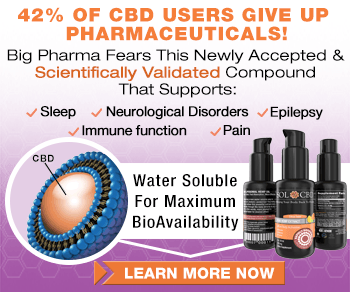 They also inherit the type B tendency of rapid nitrous oxide clearing, which expresses itself in physical consequences and in reactions of hostility and anger. Still, the AB blood type diet is adaptable like the B blood type diet. 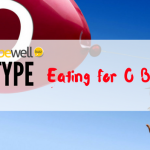 Type AB inherited type A’s low stomach acid and type B’s adjustment to eating meat. Because of their low levels of stomach acid, the meat often gets stored as fat. The food also tends to hang around for longer in the stomach because it takes longer to digest. It is recommended that type ABs eat smaller, more frequent meals to avoid digestive problems due to inadequate stomach acid and pectic enzymes. 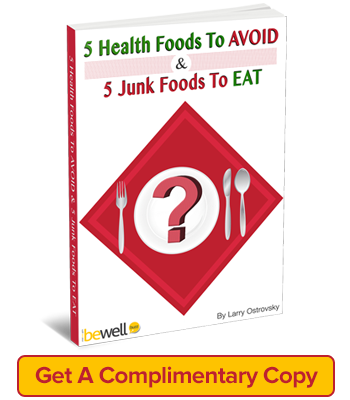 Dr. D’Adamo also recommends avoiding mixing certain foods, because that can slow down the digestive process. He says that ABs will have an easier time digesting if they eat proteins and starches separately. The following foods may cause bad reactions in people with AB blood type. 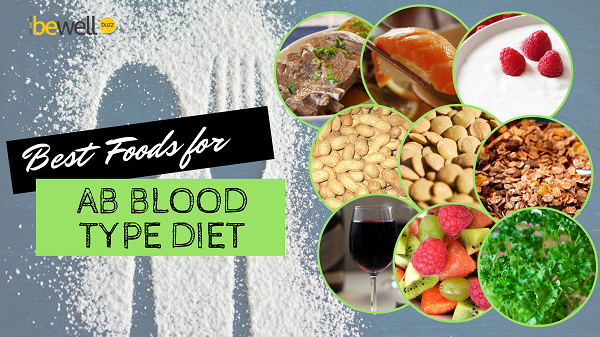 These recommendations are good for both the AB positive blood type diet and the AB negative blood type diet. AB blood types are advised to steer clear of processed, smoked, and cured meats altogether because with their low stomach acid, they are most prone to stomach cancer, which is caused by eating these foods. The foods listed above may increase weight gain and the risk of disease in people with type AB blood. Instead, they should focus on foods allowed for the AB blood type diet. 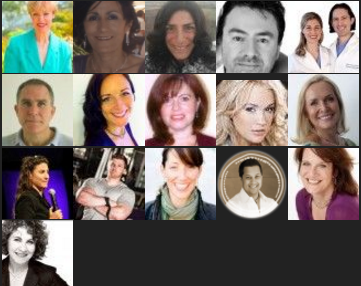 There is little differentiation between AB positive and AB negative people when it comes to dietary recommendations. 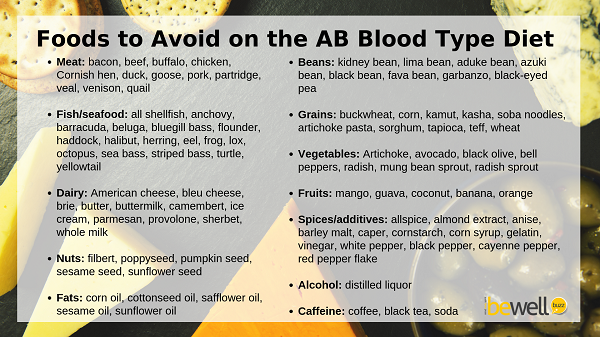 Dr. D’Adamo recommends the following foods for people who are on an AB positive blood type diet or an AB negative blood type diet. 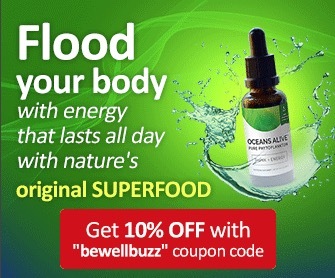 It is also recommended that people following the AB blood type diet drink beverages/teas with alfalfa, chamomile, echinacea, dandelion, burdock root, strawberry leaf, green tea, hawthorn, and licorice. Like all diets, you’ll see most success when pairing healthy dietary choices with regular physical activity. Dr. D’Adamo recommends a balance of calming activities and intense exercise throughout the week. 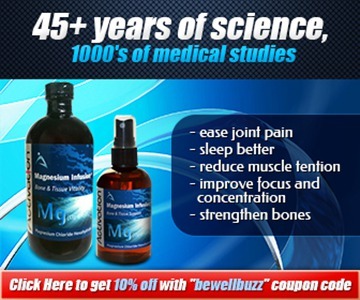 For example, engage in aerobic exercises for 45 to 60 minutes two or three times a week, and on the other days, do calming activities such as stretching, yoga, tai chi, or meditation. 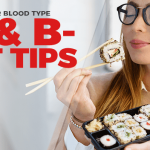 If you have any health concerns or questions about how AB blood type diet foods may affect you, talk to your doctor.